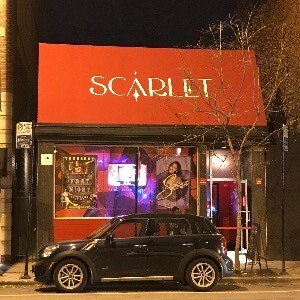 Scarlet is an LGBTQ+ place in Chicago located at 3320 N Halsted St.
Bar was honestly really fun until we were kicked out for... dancing? They were close to closing time so I guess management had to do something to get people out. Wouldn't recommend this place to any of my friends. Other clubs are dancy and don't randomly kick people out.